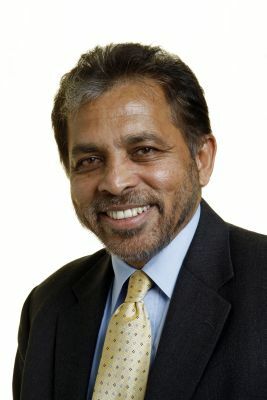 Dr. Palitha Kohona is Sri Lanka’s former Permanent Representative to the United Nations. COLOMBO, May 8 2015 (IPS) - Sustainable development is central to a range of key discussions at the United Nations and elsewhere at the moment. The role of South-South cooperation in the context of sustainable development deserves greater recognition as significant numbers of developing countries begin to ascend the development ladder in a sustainable manner, causing fundamental changes to the development infrastructure the world has known up to now. The steady expansion of South-South cooperation is causing a lasting impression on the existing order of things. First, the best practices adopted by the more economically advanced developing countries could provide workable and relevant models for the others. Some developing countries have recorded impressive economic successes and the policies they have successfully implemented could be shared. Contrary to existing practice, models of development will increasingly be borrowed from outside the developed world. Secondly, some advanced developing countries have accumulated considerable international currency reserves and developed relevant technology which could be effectively deployed in the rest of the developing world. This is happening already. Thirdly, the flow of funding and technology from other developing countries to the rest of the South will result in dramatic changes to relationships largely based on post-colonial and historical dependencies and the inevitable conditionalities. This would create an uncomfortable challenge for those used to the current relationship patterns. The traditional development cooperation patterns, many dependent on former colonial ties, perpetuating a dependent mindset and loaded with conditionality, may be sputtering to an end as a new framework of South South cooperation consolidates itself in the global arena. Sustainable development was the underlying concept that inspired States as they painstakingly negotiated the Rio+20 outcomes document, The Future We Want. The Member States are currently working on the Post-2015 Development Agenda, essentially drawing on the report of the Open Working Group (OWG), to produce a master plan for progress, to be realised by 2030, that will ensure just, equitable and inclusive growth. The report of this exercise will be submitted for adoption to the U.N. High Level Summit to be held in September 2015 in New York. The Post-2015 Development Agenda will seamlessly expand the significant achievements secured under the Millennium Development Goals which targeted eight specific areas. The new enterprise will touch upon many more aspects of our lives, including of women, youth, children, the disadvantaged and the marginalised, in a manner that the Millennium Development Goals did not. A process culminating in a meeting of States Parties in Addis Ababa in July on Financing for Development will build on the accords of Monterrey and Doha and will adopt recommendations on the funding aspect for the Post-2015 Development Agenda. The alleviation of poverty and the elimination of hunger are at the core of this exercise. We live in a world where close to 800 million people go to bed hungry every night. It is estimated that ending poverty in the world will cost 66 billion dollars per year. Over one billion live on less than 1.25 dollars per day. Over 2.5 billion have no access to clean water and proper sanitation resulting in massive health issues, including the stunting of children. The number of least developed countries has remained the same since the year 2000, the year the MDGs were adopted, although progress has been made towards making the world a better place over the last 15 years. Along with addressing poverty and hunger, the international community is discussing the related challenges, inter alia, of providing better health care and education for all, creating better cities and communities, ensuring decent work, confronting the daunting challenges facing the oceans, the imminent threat of climate change and biodiversity loss, mainstreaming women and children’s issues, providing energy for all, ensuring sustainable industrialisation, and building global partnerships. The way humanity will address the threats confronting the oceans, in particular, its riches valued at an estimated 24 trillion dollars, will have a major impact on the environment, climate change, the livelihoods of millions of people and the economies of many countries, especially the Small Island Developing States and the Less Developed Countries. In the implementation of the Millennium Development Goals adopted in 2000, the international community failed specifically on Goal 8 which focused on partnerships. The commitments made on the delivery of assistance to the developing world by the traditional donor community, including technology transfer, failed to materialise to the extent anticipated despite the solemn accords reached at Monterrey, Doha and elsewhere. The gap between the rich and the poor has continued to grow and the elimination of poverty in many developing countries remains an ever distant dream, affecting a huge proportion of the global population. Against this challenging background, the advances made by some developing countries provide practical examples of useful best practices and provide possible opportunities for a new framework for development cooperation. China has pulled out over 680 million from extreme poverty in a short period of 30 years. This is an unprecedented achievement in human history. Its economy, which was at the bottom end of the world in the 1950s, is second only to that of the United States today and is expected to grow further. Despite its headlong rush towards development and the enormity of the attendant challenges, China is also making impressive gains in the harnessing of alternative energy such as hydro, solar, wind, bio mass and gassified coal, bringing in to question the defensive contention of those industrialised countries which have argued that such a comprehensive embrace of alternative energy would result in major job losses and negative effects on their economies. The initially costly, but essential, shift to renewable energy will facilitate continuing development in a sustainable manner, and the experiences of countries such as China, India and Brazil may provide an attractive model for other developing countries. Many countries in South East Asia are also making rapid economic progress with Indonesia expected to become the sixth largest economy of the world by 2030. Sri Lanka, despite its developing country status, has attained enviable targets in the delivery of education services, health care and the integration of women to the national economy. UNICEF highlights Sri Lanka as a success story. State-sponsored agricultural extension services which increasingly emphasise sustainability have been a major factor in the impressive advances made in this sector by Sri Lanka. Bangladesh has halved the number of people living in poverty. While the experiences of any one developing country, or the technical knowhow deployed, may not necessarily be duplicated in another, useful lessons can still be learnt. The lessons that can be shared are evident and South-South Cooperation has become a significant trove of experiences that can be accessed as the challenge of development is addressed. Interestingly, China studied the Greater Colombo Export Processing Zone of Sri Lanka before it established its spectacularly successful Shenzhen Zone. Infrastructure projects could be and have been funded from public private partnerships, government to government arrangements or by the private sector. Africa’s current spurt of growth has been facilitated by a combination of these mechanisms, with much of the crucial funding and technology coming from China and a lesser amount from India, Brazil, etc..
Sri Lanka’s recent surge in economic expansion depended much on Chinese, and to a lesser extent on Indian, funding and technology. China’s initiative to establish an Asian Infrastructure Investment Bank (AIIB), which was initially proposed in 2013 by President Xi Jingping, is attracting even traditional donor states in unexpected numbers (57 as of now), despite initial reservations. It is clear that South-South cooperation is playing a crucial role, especially in developing countries, in adding zest to their economies. Important lessons are being learnt and fundamental changes to established frameworks in global cooperation are being introduced. It may even be argued that the catalyst that propelled many developing country economies to a different level was the recent expansion of cooperation from other developing countries. The traditional development cooperation patterns, many dependent on former colonial ties, perpetuating a dependent mindset and loaded with conditionality, may be sputtering to an end as a new framework of South South cooperation consolidates itself in the global arena. The states negotiating the Post-2015 Development Agenda will be conscious of the need to reflect the changing nature of the global development framework in their work. I am surprised that the writer includes Brazil and India. I don’t think that assertion will stand up to scrutiny, both as abdicating their environment, indigenous and small farmers at a gallop, and kowtowing to foreign investors.